Why Train with Tania A Prince? “I have been on many training courses over the years, and this is one of the best. Tania’s enthusiasm for the technique and for our learning was incredible”. “Never have I learnt so much from any type, of course, I’ve ever taken. Tania is so full of energy, very warm and generous with her knowledge and expertise”. “What a weekend! Came away feeling focused, energised and cleared of a 40-year-old problem. 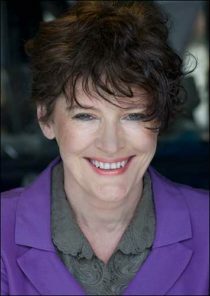 Tania’s training is concise, fun, enlightening and deep”. These are professional training courses structured to help you learn in a supportive and fun environment. My courses are full of live demonstrations and opportunities for you to practice and gain valuable hands-on experience in a supervised setting. I am an international trainer and recognized expert in the field of EFT and energy therapies. I am also an NLP and hypnotherapy trainer, counselor and trained in many other modalities. I regularly speak at conferences; I am an author and have done humanitarian work. I have been running EFT and other modality training courses for over eighteen years. I also am a professional therapist. I have worked with thousands of clients in a career spanning over twenty-six years. I am also one of the original EFT Founding Masters in EFT (Only 29 in the world). I have extensive experience which I bring to all of my courses. Use the Links in the “Training Dates” Boxes Below. Whether you want to be an EFT practitioner and build a business working with clients online or face to face or would like to become a trainer, as an EFT Master Trainer of Trainers, my courses provide a pathway to all levels. My courses are suitable for you if you are a therapist who would like to build on your skills and toolkit to help clients more. Therapists in many fields have attended these courses including, hypnotherapist, psycho-hypnotherapist, NLP Practitioners, counselors, psychologists, Cognitive Behavioural Therapists, EMDR therapists, coaches, business coaches, Mindfulness teachers, reiki practitioners, yoga teachers, doctors, homeopaths, healers, social workers, addiction therapists, weight loss coaches, nurses, carers, energy therapists, teachers, paramedics, nutritionists, acupuncturists, Bowen therapists, osteopaths, chiropractors, Crystal healers and many more within the helping professions. Many people attend these courses from all walks of life with the aim of becoming EFT therapists. People from diverse fields such as accountants, lawyers, police officers, fire officers, stay at home moms/dads, cleaners, pharmacists, actors, singers, shop assistants and many more. Although these courses train people to the standard required for becoming a therapist, many people attend for personal reasons, wanting to learn a powerful self-help technique for their own self-development and for helping their family and friends. This is an intensive course that involves three days face to face and three hours of online training. The pre-course online element prepares students for the face-to-face part of the training course providing an introduction to EFT. After completion of the face to face training, students can join the online question and answer sessions which are scheduled throughout the year. They also have access to an online course which gives information on the legal side of running a therapy practice as well as providing crucial other information necessary for anyone wanting to become an EFT Practitioner. It also provides guidance on how to get the practice and experience needed to become a practitioner of EFT. Students who attend this training will also have the option to go for EFT International Accredited EFT Practitioner status. Rapport is the key to connection. It is very important to be able to establish rapport in a therapy situation. So how can we establish rapport quickly with people? And how can we reestablish it if we lose it? In this Module, you will be taught able rapport, its importance and how to establish it. All effective therapists work using feedback from the client and “the problem”. What types of feedback can we use? How to create feedback systems to monitor progress throughout the EFT session and course of treatment. Picking up subtle communications from the client can increase your effectiveness getting results. In this section of the course, we identify the key things you should be paying attention to. You will also be given an exercise to consolidate this knowledge. EFT is an energy therapy. How does it work? Many people do not understand how EFT works and therefore put elements in that are not required. 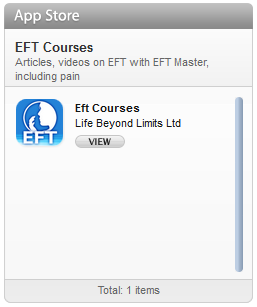 In this Module, you will be taught the simple way that you need to think to understand EFT. When you know this using this technique becomes far easier. The key to EFT is tuning into “the problem” and then tapping. There is an art and skill to this process. In this module, we identify how we can laser focus the tuning in process. There are various ways we can use language to tune into “the problem”. This module teaches direct language. It also covers when not to use direct language. Movie technique is a gentle dissociative technique we use in EFT for diminishing the emotional discomfort related to trauma. It is a powerful, easy approach that can get excellent results often very quickly. In this Module, you will see a demonstration of Movie Technique. You will then have the opportunity to practice it. Cravings can be part of many issues such as food addictions, chocolate addictions, etc. In this component of the course how to use EFT on immediate craving will be demonstrated. Although people often think that EFT is predominantly used with emotional issues it is also used on pain and physical problems. Throughout the day we will cover how to tune into these type of problems and how to apply EFT, tapping. It is very common when dealing with emotions or events in our lives that were distressing that emotions could come to the surface. What can we do if while we are working using EFT powerful emotions come up? This module covers the simple ways we can apply EFT in this situation. There are various ways we can modify how we apply EFT if it appears that it isn’t working. This module of the course covers those strategies. During the course, specific issues will be discussed, for example, weight issues, fears, phobias. You will have the opportunity to ask questions regarding the specific issues that you are interested in. How can we begin to clear out our issues? The personal peace procedure is a simple strategy for identifying what we need to tap on using EFT to deal with our own emotional or physical problem. This is a gentle technique that can be used to deal with traumatic events. In this module, you will be taught about dissociation. You will also be taught why dissociation is important when it comes to working safely on issues and also how to do this technique. You will be taught how to deal with physical problems in depth, targeting them through the symptoms and also identifying underlying emotions that may be part of the problem. Chase the Pain is an EFT approach that targets pain and physical problems through how they show up in the body. It is simple to use and can be highly effective at getting results. In this module, you will be taught how to set up a feedback mechanism to monitor progress whiles using this approach. You will also see a demonstration and then have the opportunity to practice with a colleague. You will also be shown how to use Chase the Pain approach to deal with emotional issues in a gentle way minimising the potential for clients to feel discomfort when dealing with emotive issues. Sneaking Up on the Problem: this is an approach that is used to gently take the emotion out of problems without directly diving into them. You will be shown how to use this approach. Finding the real problem makes a huge difference to the results you achieve using EFT. It is the difference between surface tapping and deep transformational change. You will be taught questioning techniques to get to the core of the problem, thus minimising the volume of tapping required and maximising the results. EFT can be easily done over the internet or phone. In this module, you will be taught how to do that, from the business side to the skills. Working with groups can be a great way to do EFT. In this module, you will be taught how to work with groups using EFT. There is an art and skill to this which will be covered in the course. When we tap along with other people during an EFT session, it has been found that it can be very therapeutic. In this Module, you will be taught how to utilise this phenomenon either for your own use or to work with clients. Not everyone has blocks when it comes to letting go of their emotional baggage. Some people however do, identifying and clearing them is essential to getting results. In this Module, you will be taught the questions you need to ask to identify blocks and conflicts and how then to use this information to deal with them. Post training you can join the private Facebook support group where you can network with other students as well as experienced trainers and therapists. You can also swap session and arrange practice session with others trained in EFT. These count as part of your practice hours. Post training you will have the opportunity to take part in two one hour group online post training question and answer sessions. This will provide with the opportunity to further your knowledge and have support whilst you further your knowledge of EFT. At the end of successful attendance of the training course, you will receive an Attendance Certificate. To gain full EFT International Accredited Practitioner status, you need to fulfill the following requirements within one year of the last day of the face to face training. Attend supervision: supervision is a common practice for people who work in the helping professions. Supervision provides you with access to support that can help your growth as a practitioner within the profession. It provides support for difficult cases, cases that may affect you and keeps you updated of changes within the profession. EFT International requires that you attend six hours supervision before becoming a practitioner. I run face to face one-day supervision’s that fulfill this requirement. If you sign onto the face to face training, you will be given the option to prepay for supervision at a discounted price. You can choose the date you would like to attend later. Attending EFT training gives you the knowledge and techniques. Practice gives you the experience and confidence. EFT International requires that you do fifty sessions with twenty different people. Sessions should be forty-five minutes minimum duration. Sessions can be done on the phone or internet. You can exchange sessions with fellow trainees from the course or other courses I have run. You can also work with family and friends. Post live training you can insure yourself as a student EFT practitioner allowing you to work legally in a professional environment. Writing a case study can consolidate your knowledge. Post live training you need to submit four case histories at a level two standard. You will be provided with a template to guide you through the process of writing a case study. I use an independent trainer to access the case studies. Her job is to help you pass this successfully. If case studies as not of the required standard she will give feedback to provide you with the necessary information to submit another case that demonstrates the missing elements from the earlier case study. There is a charge for submitting case studies. It currently is twelve pound per case. EFT International requires that students have a certain level of knowledge before gaining their practitioner certificate. They have a multiple – choice questionnaire at their site providing an external evaluation of candidate’s knowledge. It is an open book test that is not time limited. Candidates are allowed three attempts at this test. I do provide support if students find this challenging. This helps you have the knowledge that you need to take this powerful technique out into the world. There is a charge for doing their test, it is currently fifteen pounds. Please note also you need to join EFT International as a student member to gain access to it, that currently is £25. This is an intensive two day training course that builds upon the knowledge gained in levels 1 and 2. Level 3 is geared toward helping students gain mastery in their ability to get results with EFT. It goes beyond the mechanical approaches taught at levels 1 and 2 into the intuitive and mastery of advanced skills. Some of the techniques taught on this course I developed myself as approaches to work with complex issues having had twenty six years experience working with thousands of people within the field of psychotherapy. 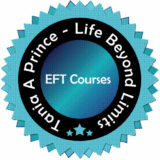 This course covers the curriculum and beyond of the EFT International syllabus. To attend this training, you need to have already attended EFT levels 1 and 2 and gained an EFT Practitioner certificate. If you have attended training courses by a trainer not aligned with EFT International, please contact me directly so that I can guide you through the transition to gaining EFT International accreditation. To attend this training, you need to have already attended EFT levels 1 and 2. This training builds upon the knowledge gained in those training courses. Level 3 is geared toward helping students gain mastery in their ability to get results with EFT. It goes beyond the mechanical approaches taught at levels 1 and 2 into the intuitive and mastery of advanced skills. This course conforms to the criteria set by EFT International one of the leading bodies in the world promoting the growth of EFT. After attendance at the live training course, attendees will be issued with an attendance certificate. 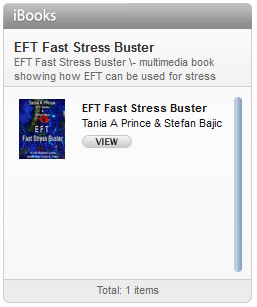 (Tania A Prince developed this approach, which featured in the book, EFT and Beyond). This is an approach which can be used with birth and pre-birth, ancestral and part life traumas. It can also be used as an imagery technique for healing. It is a dissociative technique that can be gentle and powerful. How you use language with EFT can have a big impact on the results you achieve. This training will cover how to use hypnotic language to enhance results. EFT is commonly practiced by the client tapping on the acupoints on their body. Surrogate tapping involves tapping on one person to help another, similar to distance healing. In this training, you will be taught how to do the surrogate tapping. Reframing is a technique that involves using language to help clients gain new more empowering perspectives. When reframing is combined with EFT, it can become an even more powerful technique. 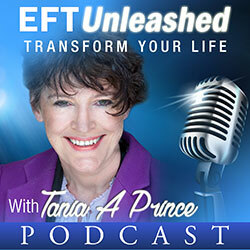 EFT Reframing is a powerful approach for dealing with difficult cases and speeding up results. EFT and Inner Child work. This is a powerful technique that allows you to easily identify underlying issues. Mindfulness Based Inner RePatterning™ is a tapping technique based on the concept of mindfulness. It was created by Tania A Prince. This approach works on the idea of supporting the body’s natural abilities to heal itself. It does not require that you analyze or understand “the problem”. Neither does it require that you talk about it to begin to work and support the body with “the problem”. It has been used with complex trauma, bereavement, fibromyalgia, pain, stress, etc. Complete 4 case histories at a level 3 standard. You need to use techniques taught at this level and show understanding and the ability to apply these techniques correctly and safely. You will be supplied with templates and instructions on how to do and submit case histories. Complete the Multiple Choice Online Questionnaire at the EFT International website. There is a charge for taking this payable to EFT International at their website. Candidates have three attempts to pass the open book test. There is no time limit on finishing the test when you start it. Although not part of the assessment supervision/ mentoring is regarded as essential to demonstrating a commitment to running a professional practice. Candidates must have had six hours supervision within the year before applying for this upgrade from Practitioner to Advanced Practitioner status. Post training you need to complete fifty hours of client sessions, minimum duration, forty five minutes with at least twenty different people. If you have previously trained to level 2 or 3 levels before 2014 and would like to attend this training to gain the new EFT International Accredited certificate, please call me on 07792 500881 to develop a bespoke pathway dependent on your previous EFT qualifications and experience. Support is available if needed to complete these levels. Please contact me directly if you wish to enroll on this program. 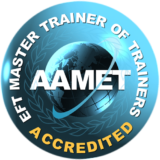 Attendance at EFT Mentoring is a requirement for gaining and retaining accreditation by the EFT International. EFT Mentoring is for those new to the profession having attended an EFT Level 2 course and also for those who have varying degrees of knowledge and experience. Having attended six hours of mentoring is a requirement set by EFT International for gaining their accredited practitioner status. Once accredited by EFT International to retain accreditation you need to do 6 hours of mentoring per year. Attendance at this group mentoring day fulfills these requirements. This course is open to people who have attended EFT 1, 2, 3 as well as trainers. Mentoring is about developing the mindset of a therapist. It is also about gaining the support of peers so that you can take your practice to the next level. It is about pooling your knowledge so that everyone in the group can benefit from your experience. On these days attendees are given the opportunity to discuss difficult cases and to contribute and receive suggestions as to alternative ways of working with their client or issue. During these sessions, students are kept informed of changes within the profession that might have an impact on their practice. It is also the place to discuss new approaches and practice any techniques you feel a need to practice. These are ideal opportunities to network and get support from colleagues. Attendance at EFT Mentoring is a requirement for gaining and retaining accreditation by the EFT International. This course is open to people who have attended EFT 1, 2, 3 as well as trainers. EFT Mentoring is for those new to the profession having just attended the EFT Level 2 and also for those who have varying degrees of knowledge and experience. Supervision is about developing the mindset of a therapist. It is also about gaining the support of peers so that you can take your practice to the next level. It is about pooling your knowledge so that everyone in the group can benefit from your experience. On these days attendees are given the opportunity to discuss difficult cases and to contribute and receive suggestions as to alternative ways of working with their client or issue. During these sessions, students are kept informed of changes within the profession that might have an impact on their practice. It is also the place to discuss new approaches and practice any techniques you feel a need to practice. These are ideal opportunities to network and get support from colleagues. In this part of the supervision day, we cover difficult cases. Attendees are invited to discuss the cases that they are or have found challenging. We then brain storm ideas for working with this client. Group input is encouraged. Attendees are encouraged to share their success and also to discuss cases they found to be eye-opening. From time to time as therapists, we can be challenged by the cases we work with; this can personally impact us. Attendees are encouraged to share those challenges to get support from colleagues. Attendees are invited to share information about new techniques, research or legal changes relevant to their practice of EFT. Supervision can also involve practicing specific techniques including from time to time demonstrations. Please Note: These videos describe the experiences of people who have attended the EFT Training courses. People are different in how they respond to EFT. There is no guarantee that you will have a similar experience. amazing knowledge with humour. Be prepared to laugh! of emotions with passion, humour and warmth. course many issues were addressed and had incredible results. life changing for me and now I have the skill to help others change theirs. able to tailor the training respect the attenders, sensible, dedicate and passionate. I recommend any training with Tania Prince as it is exceptional experience. Onsite parking is available on first come first served basis. There is a parking charge. Cheaper parking is available, four minutes walk from the venue. Nearest airport is Manchester Airport. The nearest train station is Manchester Deansgate. Oxford road train station is twenty minutes walk. Piccadilly about thirty minutes walk. Please Note: Teas/ Coffees are provided on the training. Lunch is not provided but can be purchased at the venue. This hotel is within five miles of Manchester Airport. The nearest train station is Handforth, which is about ten to fifteen minutes walk from the hotel. Wilmslow train station is about five miles away. The hotel is just off the main A34 dual carriageway making it easily accessible by road. Do I need prior experience or knowledge of EFT in order to attend these training courses? You do not need prior knowledge to attend the EFT Level 1 and 2 (Three day training). All the training you need will be given at the training. To attend, EFT Level 3 (Advanced Practitioner) you need to have completed your EFT practitioner training. To attend EFT Supervision, you need to have attended the EFT Level 2 and or 3 training courses. What qualification do the EFT Level 1 and 2 (Three day training) courses lead to? This training course qualifies as the face to face element of the EFT International Accredited Practitioner certification. After attendance of the training course you have the option to complete the further requirements set by EFT International to gain the EFT International Accredited Practitioner status. EFT International is one of the largest and longest established EFT organizations in the world. I have already gained my EFT International Accredited Practitioner qualification. I trained with another trainer. Can I attend your EFT Level 3 training?